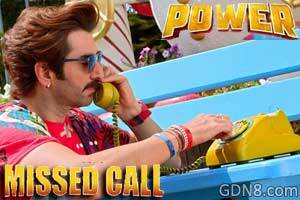 Missed Call Song Lyrics From Power Bengali Movie. Music Composed By Jeet Ganguly. Featuring By Jeet, Sayantika Banerjee And Nusrat Jahan. The song is sung by Nakash Aziz And Akriti Kakkrar And bangla song lyrics written by Raja Chanda. This movie directed by Rajiv Kumar.